The XDJ-RR is an ideal all-in-one media player for starting DJ's that want to get the professional club gear feeling for a reasonable budget. 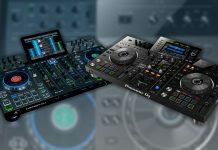 The XDJ-RR is the latest standalone DJ system from Pioneer DJ and while it lacks in features compared to the XDJ-RX2, it’s well built and comes off as something that will stand the test of time and being used in DJ booths. The other standout feature are the performance pads. 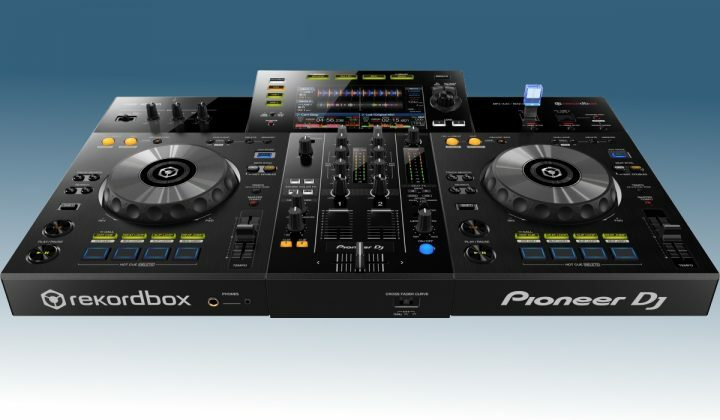 The XDJ-RR gets 4 pads per deck instead of the 8 that the XDJ-RX2, and they arent color coded either. But, again, keeping the price difference in mind, that is more than acceptable. 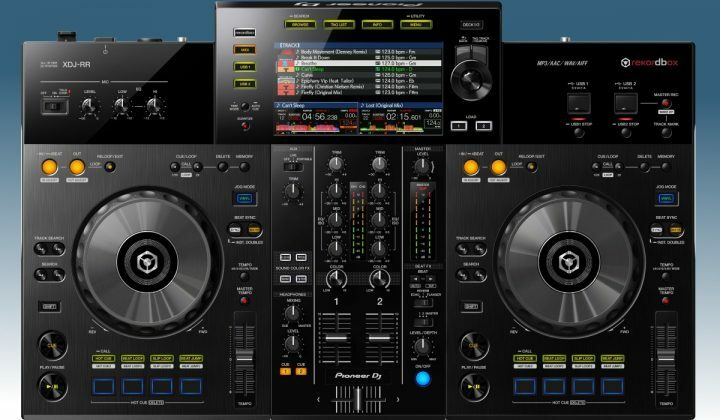 The decks on the XDJ-RR are very similar to the ones on the XDJ-RX2, with the difference that the jog wheel is smaller, there are only 4 pads instead of 8 and the pitch fader is smaller. None of those things are a real problem though, considering the price difference. 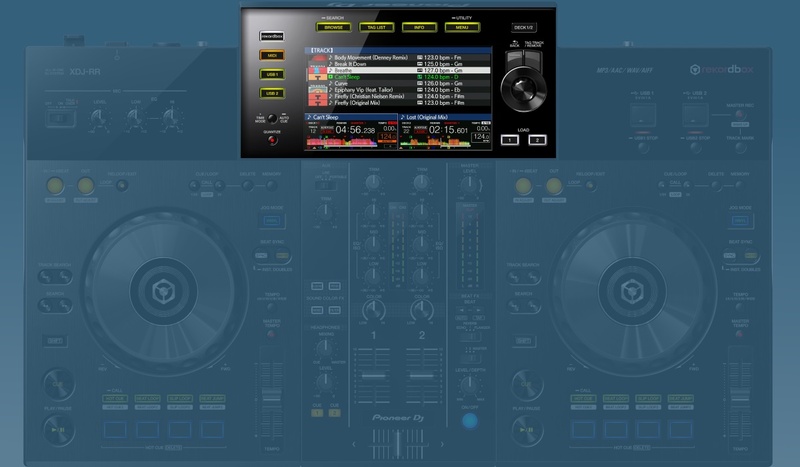 The top of the deck have the typical Pioneer DJ yellow loop buttons and the call/record buttons for cue and loops, and this will certainly please users that want to get used to the well established Pioneer DJ workflow. The jog wheels are, as expected, of excellent quality. The central LCD screen in the middle of the jogs is absent on this unit, but since there is a large built-in LCD screen at your disposal to check waveforms and other track data that’s not such a big deal. Apart from that, the jog wheels feel solid enough in use. The performance pads then. These aren’t actual rubberized pads, but plastic buttons that feel a little less responsive because of the large travel. Still, they are more than OK for standard use: trigger hot cues, loops, rolls… These pads aren’t build for finger drumming, but that’s probably not what you would buy the XDJ-RR for. Finally, the pitch fader is smaller than the one on the XDJ-RX2, but still usable for manual beatmatching. The screen on the XDJ-RR is the same size and overall quality as the one on the XDJ-RX2, with one important difference: it’s not a touchscreen. The major drawback is that not having a touchscreen makes searching for tracks a bit more complicated. That being said, the screen is surrounded by knobs and buttons that all work very well and are designed in a very familiar way: if you go to CDJ’s from this, it will definitely feel like familiar terrain. The screen quality is excellent. The graphics are sharp and clear, and even in a clear and well-lighted environment, all the track data is easy to read. Again, considering the price of the unit, it’s hard to complain. The mixer then. 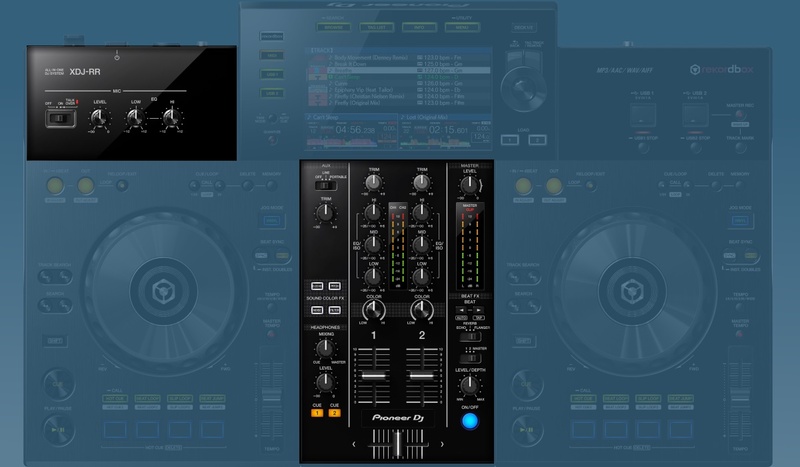 As in al Pioneer DJ XDJ media players to date, the XDJ-RR mixer’s is very complete: microphone input with low and high EQ, AUX input with volume level, 4 sound color effects, 3 beat effects and, obviously, two channels with 3 band EQ that can be set to classic or full kill in the software. The sound color effects (Dub Echo, Pitch, Noise and Filter) all sound nice and are usable. I wish there would be a dedicated parameter knob like on the XDJ-RX2, because that helps a lot to better blend the effect with the music, especially for the Noise effect. I was surprised to find only 3 beat effects (Echo, Reverb, and Flanger) on the XDJ-RR, but on the other hand, they did include the most popular ones (I’m sure they didn’t pick them at random!). So I’m pretty sure that most DJ’s will be able to cope just fine with this setup. 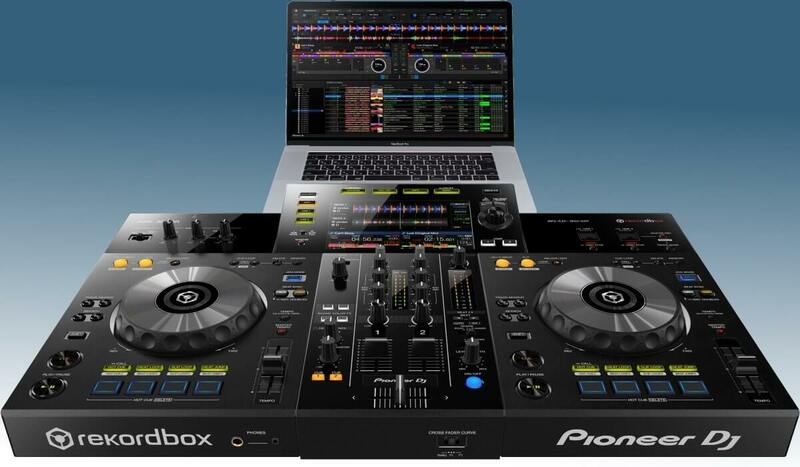 Overall, the mixer is well featured and will not only fully satisfy beginners that buy this for their home setup, but also mobile and club DJ’s that want a compact unit for their gigs. 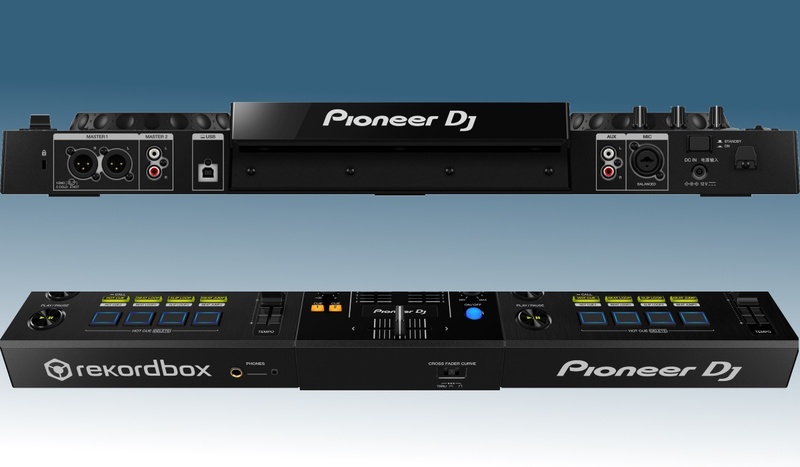 The XDJ-RR has two USB slots, so you can have two USB media sources connected at once. 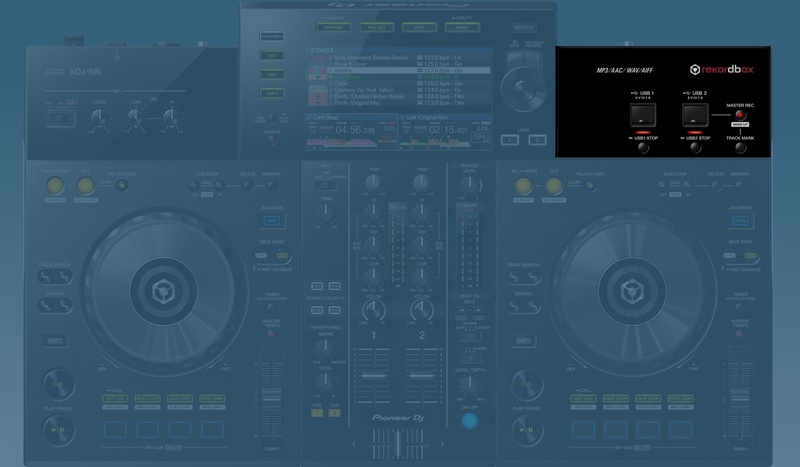 One of those slots can also record your sets, making it very easy to create mixtapes from your mixes. Two USB slots also help to facilitate DJ switchovers. The track mark button will, when pressed, split up to the recorded track and save it as a separate file on the USB device. The XDJ-RR has, on the back, two master outs: 1 master XLR and 1 master RCA. There is no booth output, which might be an issue for club and/or mobile DJ’s that are looking at this unit but rely booth monitors when performing. For DJ’s that want the XDJ-RR mainly to be part of their home setup, with the occasional house party thrown in, the lack of a booth output should not be a problem. There is also an XLR mic input and an RCA AUX input, the last one providing some flexibility as it allows to connect an external audio source (think an audio player or even another media player) to the XDJ-RR. On the front of the unit, you will find the headphone inputs in the form of a 1/4 inch stereo phone jack and a 3.5mm stereo mini-jack. The XDJ-RR is a fine budget alternative to the more professional, but also more expensive XDJ-RX2. There are a few drawbacks, such as the lack of a touchscreen, or a booth output, or even the amount of beat effects. But all those missing features compared to its bigger brother are understandable considering it costs almost a third less. 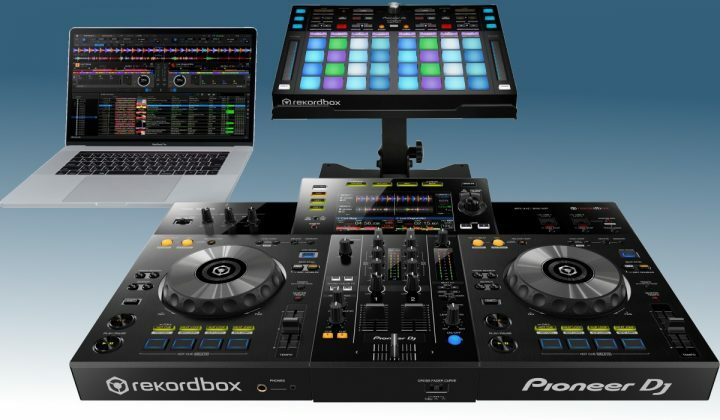 What we are left with is a unit that packs two decks, a mixer and a high-resolution screen for less than the cost of 1 Pioneer DJ XDJ-1000mk2, and that’s quite a bit of value for your money. 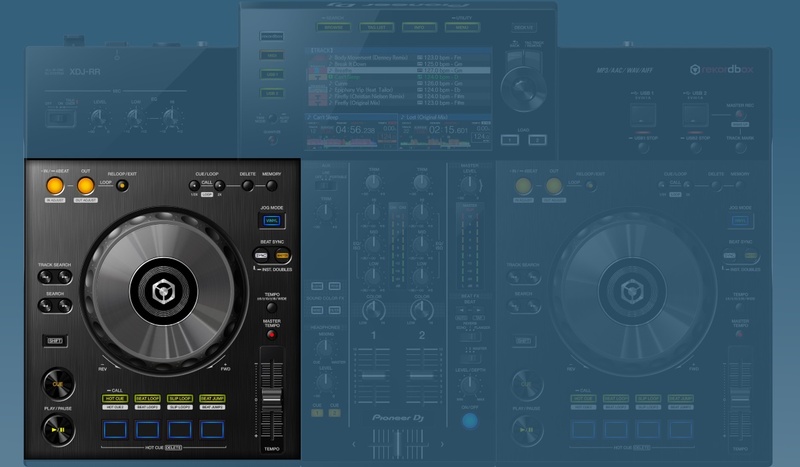 If you are a beginning DJ and want to get as close as possible to a professional club set up for the smallest possible price, the XDJ-RR is definitely your best option. 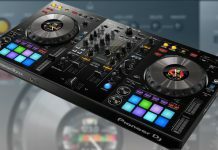 The Pioneer DJ XDJ-RR is a great all-in-one player for beginning DJ's but can serve mobile and club DJ's that need a compact unit for the road as well.